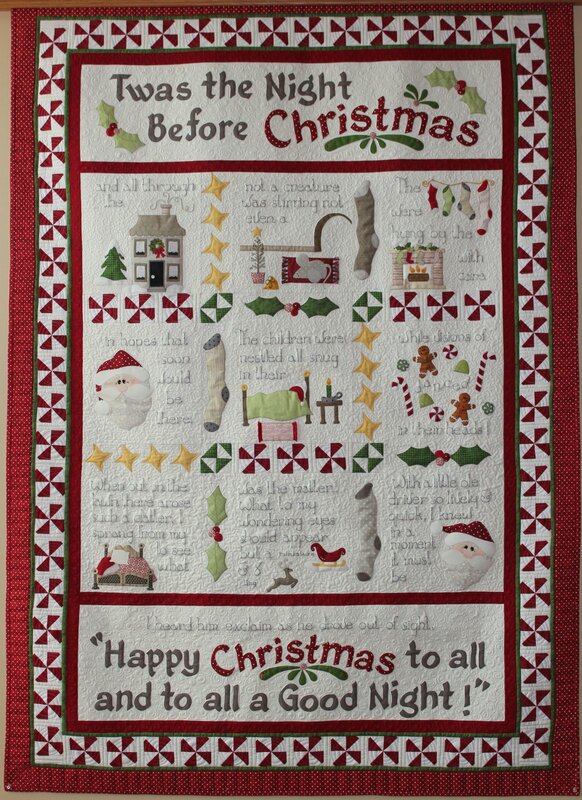 Twas the Night Before Christmas is one of the cutest Christmas quilts I have seen in a long time . It was designed by Vickie Higley . And is so darling in person. After you sign up I will be sending close-ups of blocks for you as we go along . Measures 58" X 82" before quilting. You will receive fabric for all blocks including all floss for embroidery , buttons , yarns and trims. Backing is not included and you will need 5 yards if fabric for backing. There is. a non refundable 10.00 reservation fee that will hold you a spot in this program. Only $ 21.00 per month including free domestic shipping and handling for each kit. International shipping and handling will be added when applicable. This is a 12 month block of the month program. This block of the month starts on June 2nd 2018 and goes thru May 2019. You will receive generous cuts of fabric to make the block sections each month. Upon ordering the first block your credit card will automatically be charged on the 2nd of each month for each additional month. Blocks of the Month are a commitment and are not cancel-able.